The Bangalore Crystallographic Computing School was organised by the Commission on Crystallographic Computing. 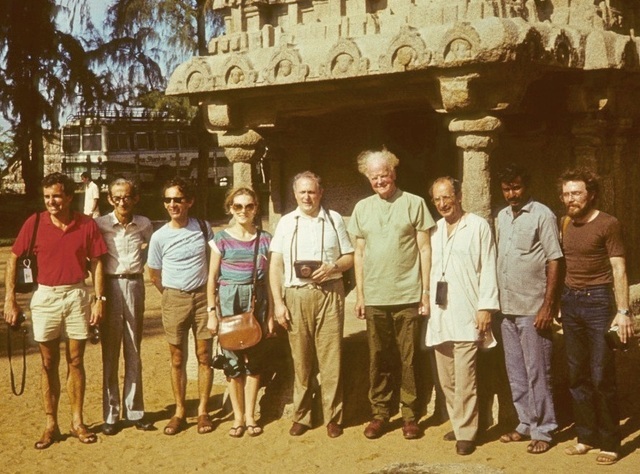 Excursion to Indian temples outside of Chennai (Madras) in 1980. Syd Hall, Uri Shmueli, Colin Kennard, Clare Whittaker, Davide Viterbo, A. J. C. Wilson, George Tsoucaris, ?, Gérard Bricogne.